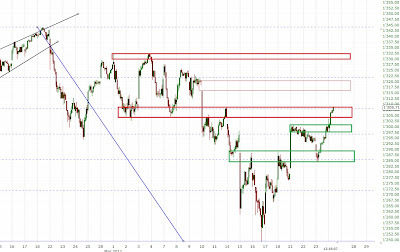 The SPX gapped up, retested the previous resistance around 1300 and then rallied higher. 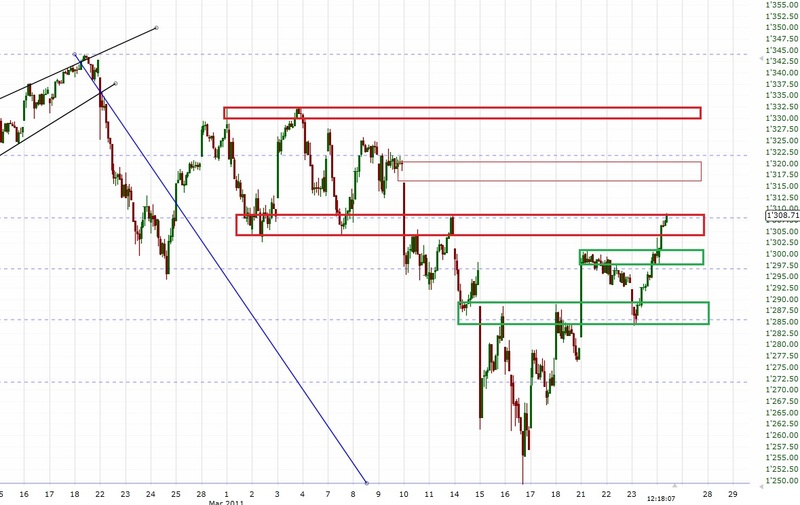 We're now right at the 1308ish resistance and the 62 % retracement of the move from 1344 to 1249. A break above should lead to a rally to the gap just below 1320 (higher targets are 1330 and 1344). Support is now at 1300 and 1284-89. I'd like to repeat what I said yesterday: As long as we keep making higher highs and higher lows the short-term trend is up! Only a break below 1284 would change that.